Salt Lake is home to a thriving sports community, and some amazing sports facilities. From traditional team sports like basketball, soccer, and volleyball, Salt Lake’s equestrian, winter sport, and martial arts and combat sports scenes are also flourishing across age groups. 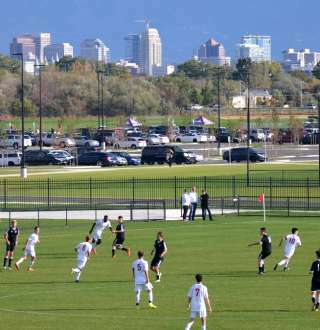 With new facilities like the Regional Athletic Complex, combined with unparalleled proximity to an international airport, Salt Lake is an ideal destination for your next sporting event. Olympic Legacy - As an Olympic Legacy location, Salt Lake boasts some of the best ice skating, ice hockey, and winter sports training facilities in the nation. While most facilities lay dormant short after the games, Salt Lake’s Olympic Legacy is strong. From the Utah Olympic Park to the Utah Olympic Oval, you’ll discover a strong Olympic spirit still live and well in Salt Lake.